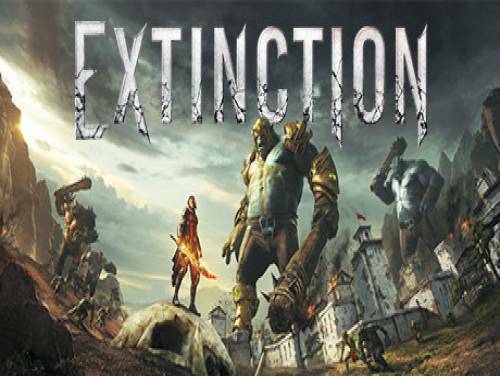 Endless Health and Endless Runes Energy and many other cheats and codes on this page dedicated to Extinction for PC / PS4 / XBOX ONE. Welcome to our pages, especially in the one dedicated to the cheats of Extinction Without further delay let's introduce this article to you! Discover Cheats, Cheat Codes and Tricks for Extinction (PC / PS4 / XBOX ONE): Endless Health and Endless Runes Energy. The cheats in our possession are valid for PC / PS4 / XBOX ONE and they should be all the valid ones since the game came out, that is 9/03/2018. We update the list of consoles every time if he adds a new one to the list. Not only that, we can also offer you the solution of this game! See the solution of Extinction of apocanow, that is a selection of YouTube videos created specifically by third-party users in order to guide all the other players towards the completion of the game. complete Objectives and Trophies. For this game we also have the promo trainer! Un Trainer is a PC program that, if played together with the game, allows you to unlock a lot of cheats. You are one of the last sentinels remaining in the world, a soldier of the name Avil has the ability to face in battle endless waves of Ravenii. He faces monsters and imposing their minions in a vast territory, defend the city and save the refugees torn away from their homes.